Snow may be on the horizon, but tourists taking advantage of mild fall weather are adding to the already record number of people who have visited Yellowstone National Park this year. The park had a record number of visitors in October. 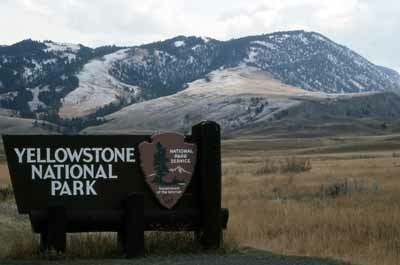 That's on top of the record number of visitors to Yellowstone in June, July, August and September. Tourism in Yellowstone so far this year is up more than 10 percent compared to this time last year. More than 3.5 million people have visited the park this year, already topping the record 3.3 million who visited Yellowstone all last year. More than 189,000 people visited the park in October. That broke a 22-year-old record. Park officials say unusually mild weather and less road construction compared to autumns past may be encouraging people to visit Yellowstone.